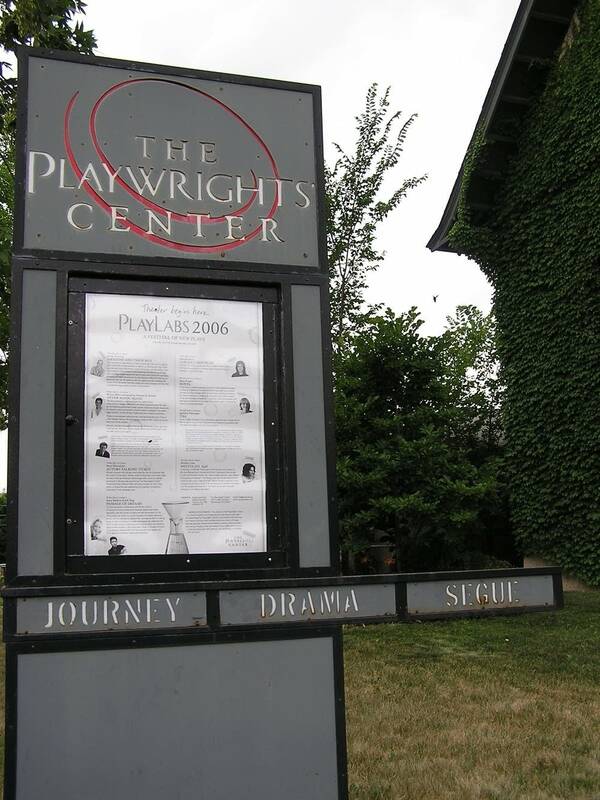 The Playwrights' Center in Minneapolis has a national reputation for developing new plays. Many writers come to Minneapolis for year-long fellowships; several have ended up settling down here because of the local writing scene. "This has got to be in the top three playwriting communities in the country," says Polly Carl, the Playwrights' Center's producing artistic director. "New York at the top, of course, and we're probably competing with San Francisco. There's some unbelievable talent in this town." Carl says playwrights don't stay put here. They tend to spend a lot of time in New York, but typically she says there are between 30 and 50 professional playwrights working in the Twin Cities at any given time. However, she says, you wouldn't know that by looking at the Twin Cities theaters. "We often say that he most frustrating thing for writers that stay in Minneapolis, especially writers who are often having careers around the country, is that the only place that their work is not being seen is here," says Carl. It's possible to find relatively new work on Minnesota stages, but often these are shows that have already been a hit in New York; they're a pretty safe bet. The History Theater in St. Paul is one of the few theaters whose season is made up of entirely new work, often written by local playwrights. Despite his focus, Artistic Director Ron Peluso sympathizes with other theaters that avoid new work. "It's a risky business and no matter how we slice it we are in a business; we have to pay the bills and make the rent," says Peluso. "And it's not always something that succeeds. You may artistically succeed or it may succeed at the box office, but its always an unknown. You can't control any of those things." This past season Peluso produced a play that went over well with school audiences, but didn't connect with adults. The play was a huge financial loss for the theater. Peluso couldn't fall back on an old favorite for the next show to recoup his losses. Instead he put up yet another new play that no-one had seen. He insists that he's willing to take the risk, because it's part of his theater's mission to produce new plays. He says other theaters, which don't share that mission, are simply being practical about balancing their budgets. "We see how many new musicals appear on Broadway now," laughs Peluso. "I mean it's just too expensive. You take a chance and you lose your shirt. We have, what, three new shows and eight revivals on Broadway? That's the safer way to go." Producing a new play is also more time-intensive than putting up a show that's been staged several times before. There are often kinks to work out, passages that need re-writing. That means more rehearsal time, more money to pay the actors, and less time to focus on the other plays in the season. That kind of commitment has become even more exceptional in the last five years, according to Illusion Theater Director Michael Robins. "Ever since the economic downturn of 2000 and then 9/11 there's been kind of a shifting of what people want to do, where they want to go, what they want to see," says Robins. "Consequently I do think there's been some pullback in wanting to do new work that doesn't have any name recognition or isn't even something someone can hang their hat on." Mindful of the pitfalls of producing new work, some theaters are coming up with new ways to mitigate the risk. Robins is currently directing "Fresh Ink," a mini-festival of new works that the Illusion puts together each year. Allison Moore's script "American Klepto" is one of this year's offerings. The Illusion Theater won't stage a full production, but close to it. 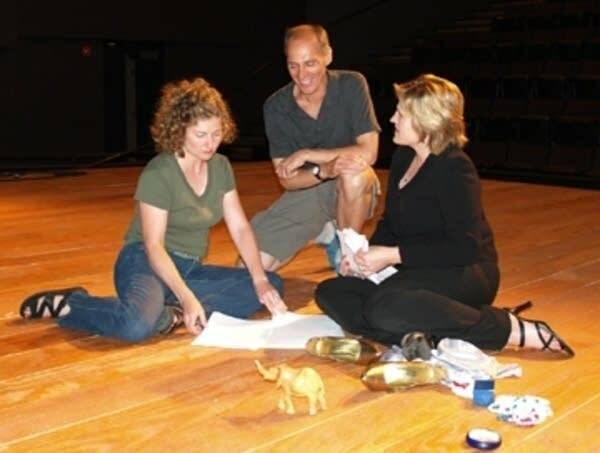 Moore says that while she's had her work read around town numerous times and a few short plays produced, she has yet to see one of her full-length plays staged at a Twin Cities theater. "If what you're looking for is a reading, it's so easy--very, very easy--to get something together, to pull people together to get that experience of hearing a first draft," says Moore. "Getting to that next step and actually having a full production is a little bit more challenging." Moore understands the risks involved in producing a new play, but she still finds it hard to comprehend why more theaters don't stage new work by local playwrights. She says she knows there's an audience out there that would love to see it; she sees them showing up in droves for the Minnesota Fringe Festival. "The Fringe does essentially all unknown work," says Moore. "I mean I've been to the Fringe every year and people are lined up around the block! They stand in line to get their tickets to see new work by people they've never heard of! So clearly the audience is there." Out of frustration, Moore says, many playwrights have turned to producing their own work. She admires people who can find the time and energy for it, but she doesn't see herself producing one of her own plays. "I don't know that everybody is suited temperamentally to that sort of thing," says Moore. "As for most artists, most of us are sort of piecing a living together through multiple streams of income and when you're already juggling so many things it can feel overwhelming to try and add 'producer' to the list of things that you're doing." Being a producer would mean creating a non-profit organization, applying for funding, and probably promoting plays as well. But a group of local playwrights is trying to simplify that process. One of them is Trista Baldwin, who moved to Minneapolis from New York. There, she says, directors regularly sought out playwrights' new work. She came to Minneapolis to focus on her writing, but after three years she's eager to get back into the world of theater. "I don't like spending all of my time in front of a computer and in my head," says Baldwin. "I'm a theater person, not just a writer but a theater person. If I wanted to stay alone writing I would write fiction or poetry, but this is meant for an audience and this is meant for collaboration." Baldwin is one of the co-founders of the Workhaus Collective, made up of 15 playwrights who want to produce their own work. 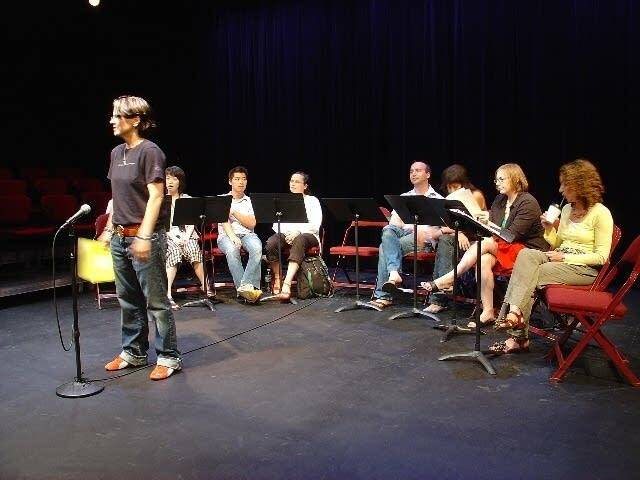 Each playwright takes a turn being the artistic director, staging his or her play. Baldwin says the collective is not THE solution for getting more local work to local audiences, but A solution. "More new plays beget more new plays," says Baldwin. "By doing new work, it makes it less scary for everybody, and I think that will make new work more exciting to the other theater companies here. At least that's the hope." If the Workhaus Collective has its way, audiences will be seeing more new plays produced not just by playwrights, but by established theater companies throughout the Twin Cities in the years to come.